The Ship Inn isn't just a great place to eat, drink, relax and get away from it all – we like to think it's also part of a great Suffolk story. Dunwich was once a thriving port with a population of 4000 but now it is a quiet, idyllic village, surrounded by nature reserves, heathland and beach, & only the romantic ruins of Dunwich monastery remain to hint at the fate of this former City, claimed by the waves during a terrible storm. It's said you can still hear the peal of the church bells beneath the waves, while we can't guarantee that, there are certain, more earthly things we're always happy to provide. Real ales, real food and a real fire. Comfortable, traditionally furnished rooms, some with views across the sea or marshes. An enormous garden, dotted with fruit trees (including our 300 year old fig tree) and a wide stretch of shingle beach that really is just a couple of minutes walk away. Whether you want to use it as a base to explore this wild and wonderful coastline, enjoy some of the best fish and chips on the coast or simply indulge in a pint or two of Adnams, The Ship Inn extends the warmest of welcomes. The Ship at Dunwich has been recognized by The Good Hotel Guide 2017 and became one of only a small handful of Suffolk hotels to be included in the guide this year. The Ship has been shortlisted following a number of loyal readers’ reports and recommendation letters sent to the independent guide editors. The Good Hotel Guide identifies the places of character, who give a warm welcome and flexible attitude to guests in Great Britain and Ireland. What could be better after a long coastal walk and a satisfying home-cooked dinner than a great night's sleep in a really comfortable bed, lulled to sleep by the sounds of the sea? The Ship has 16 refurbished, comfortable rooms - all with their own ensuite facilities, and some with marsh and sea views (two are with separate adjoining rooms offering ideal family accommodation). home-made, reasonably priced and traditional in flavour. 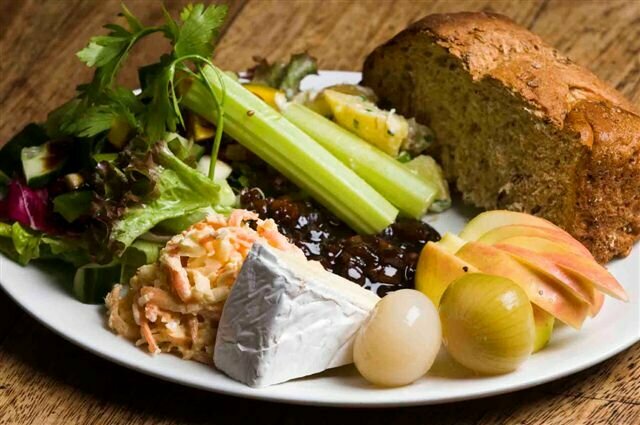 There’s plenty to enjoy on The Ship’s menu: classic fish and chips, Blythburgh pork belly ‘Fabada’, chocolate & salt caramel tart, lemon meringue posset and much more which are all accompanied by good wines at sensible prices, or proper beers and ales - including Adnams and a range of guest ales. That's what we stand for - good, honest, top quality fare. Choose to eat in the bar, the conservatory, our lovely garden or, in the evening, the dining room with its scrubbed pine tables and sisal matting. So base yourself at The Ship Inn Dunwich to explore the Suffolk Coast, RSPB Minsmere and much else! This winter The Ship will be hosting a special fish night where diners will have an opportunity to sample and extensive menu of fresh, local and delicious fish and seafood dishes. 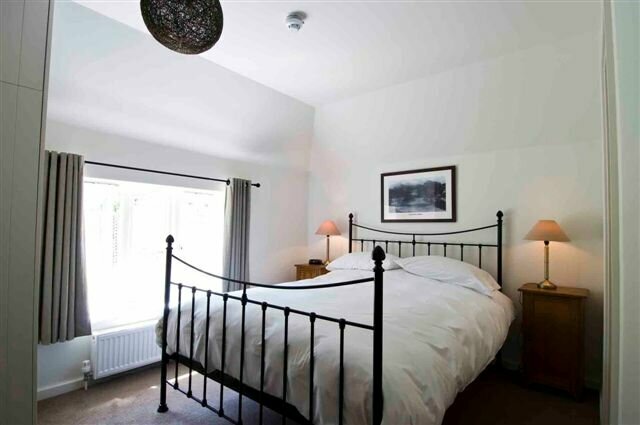 Stay in one of our comfortable bedrooms for two nights and enjoy our Inn to Inn circular walk from The Ship at Dunwich to our sister inn The Westleton Crown. Prices are from £295 per couple with breakfast, dinner on one of the evenings and a £30 lunch voucher to use at The Westleton Crown. 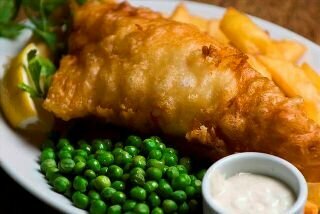 Stay in our cosy Good rooms for two nights from £270 and we will give you a £30 voucher on each day to spend on food and drink whilst you are with us - easily enough for fish and chips for two! Book a room for 3 nights from £295 per room for three nights (saving £65). This offer is available from Sunday to Thursday. Stay for 4 nights arriving either Sunday or Monday and staying with us for four consecutive nights from £360 per room for four nights (saving £120). Stay for 5 nights arriving on a Sunday and staying with us for five consecutive nights from £450 per room for five nights (saving £150). These room offers are available for stays Sunday to Thursday from the 25th September 2017 - 20th July 2018. This offer is not available over school and bank holidays, our Christmas and New Year period, Valentine's Day and Easter. It is also subject to availability and must be booked in advance. Prices are based on two people sharing and are inclusive of breakfast and VAT.